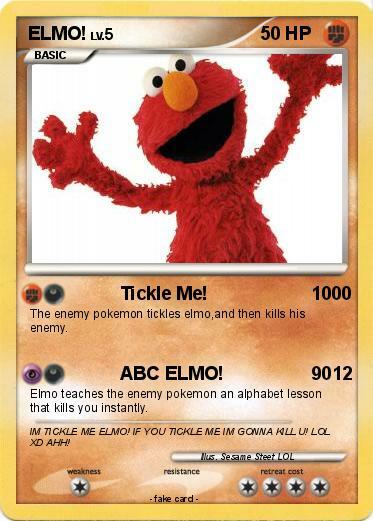 The enemy pokemon tickles elmo,and then kills his enemy. Elmo teaches the enemy pokemon an alphabet lesson that kills you instantly. Comments : IM TICKLE ME ELMO! IF YOU TICKLE ME IM GONNA KILL U! LOL XD AHH!